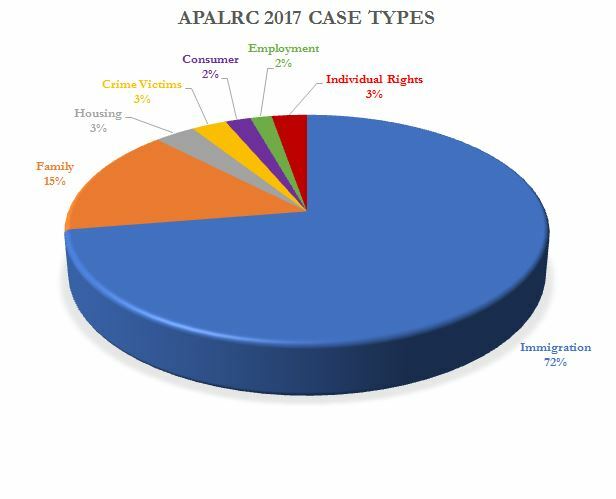 In 2017, the APALRC staff of four attorneys and one program assistant provided legal assistance in 655 legal matters. As part of the New Americans Campaign, the APALRC and its community partners conducted 20 citizenship application workshops and assisted 245 lawful permanent residents with their applications to become U.S. citizens. This past year, we saw Filipino teachers and Indonesian domestic workers who we assisted in obtaining T-visas return for representation in obtaining their “green cards.” APALRC staff continued to provide legal representation to victims of trafficking and crime apply for U and T visas. Additionally, staff represented 87 victims of domestic violence in 95 legal matters, including obtaining orders of protection against their abusers, and custody and support for their children. During 2017, the APALRC continued to assist the tenant associations of 2 low-income housing complexes in/near D.C. Chinatown with preserving their affordable housing. In addition to providing legal services, the APALRC staff conducted 12 Know Your Rights seminars on legal issues affecting our Asian Pacific Islander clients. Due to the changes in immigration policy in 2017, the majority of these seminars dealt with the effect of these changes on the API immigrant population and the types of immigration relief to which they might be entitled. 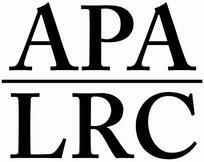 The APALRC also participated on several panels that focused on the changes in U.S. immigration policy. Due to the negative impact of these policies on the API and other immigrant communities, these panels were comprised of not only legal immigration providers, but also government officials, education providers and law enforcement. During 2017, the APALRC expanded its walk-in intake sessions to two new locations, the Gilchrist Immigrant Resource Center in Wheaton, Maryland and the Korean Community Service Center in Annandale, Virginia. We also began new partnerships with Asha for Women, a domestic violence program working with South Asian women, and with Libraries Without Borders, a program using innovative outreach methods to increase legal knowledge to hard to reach communities. And, with the addition of a Virginia licensed attorney, the APALRC expanded the legal services it provides to API residents of Northern Virginia.